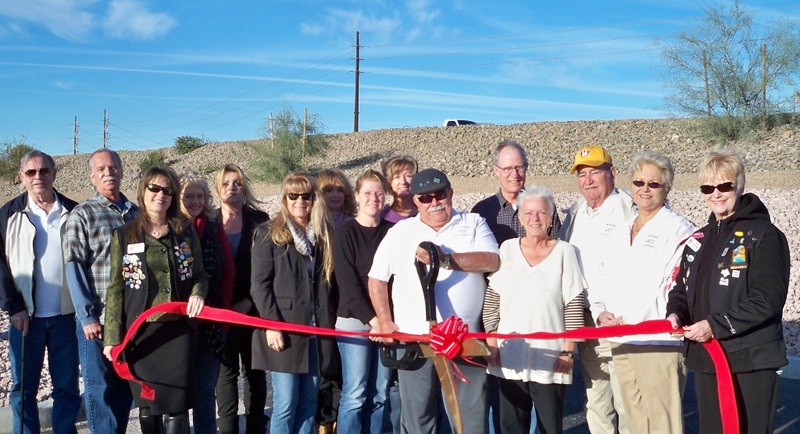 The Lake Havasu Area Chamber Ambassadors held a ribbon cutting ceremony for the London Bridge Plaza Association celebrating its new parking lot. 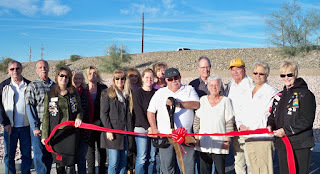 Attending the ribbon cutting were Lyle Matzdorf, Bill McLearn, Tracy Bashaw, Samantha Whittle, Nancy Humble, Mike Whittle, Cindy Hyland, Bill Dawson, Gloria Ryan, Curt Nill, Marga Nill, Amy Sugamele, and Kathy Ronningen. The London Bridge Plaza Association is in charge of the Lake Havasu Sunday Swap Meet and can be reached at 928-680-5685.